Even though Jason Bourne (Matt Damon) and franchise creator Robert Ludlum have parted ways and moved on from the "Bourne" universe that doesn't mean this franchise is dead, not at all! Enter Aaron Cross (Jeremy Renner) and series back bone (if you will) Tony Gilroy for the next chapter, THE BOURNE LEGACY which judging by the new trailer isn't missing a step. Joining Renner in the action are Rachel Weisz, Edward Norton, Stacy Keach and Oscar Isaac along with franchise vets Albert Finney, Joan Allen, David Strathairn and Scott Glenn who all reprise their roles. 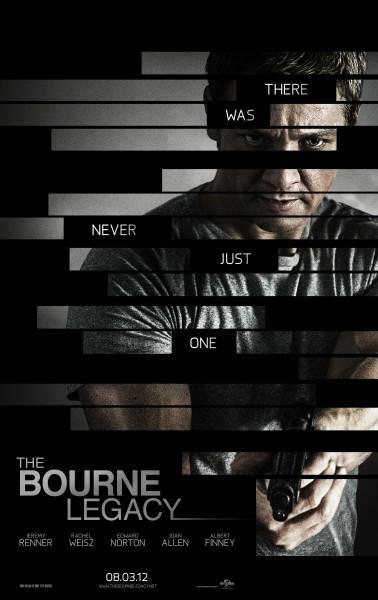 The Bourne Legacy hits theaters on August 3rd.